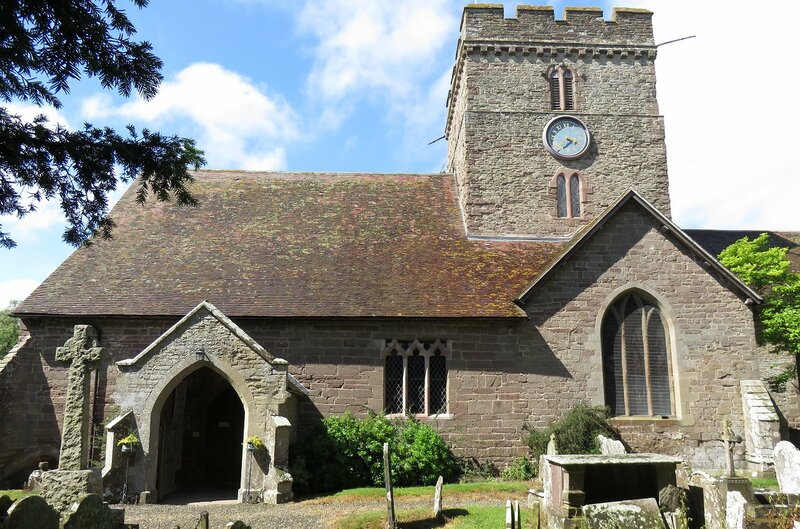 The BOA trip to the English-Welsh border country last summer concluded with a visit to the small village of Stanton Lacy (population now only just over 300), near to Ludlow in south Shropshire. The village has Anglo-Saxon origins and features in the Domesday Book of 1086. St Peter's church building retains some features from the 11th century, but has had additions in the 14th, 16th and 19th centuries. The bells date from 1693 and were re-hung in 1953. The Gray & Davison organ dates from 1854. When originally supplied it could be played either from its single manual or automatically via one of three rotating barrels. 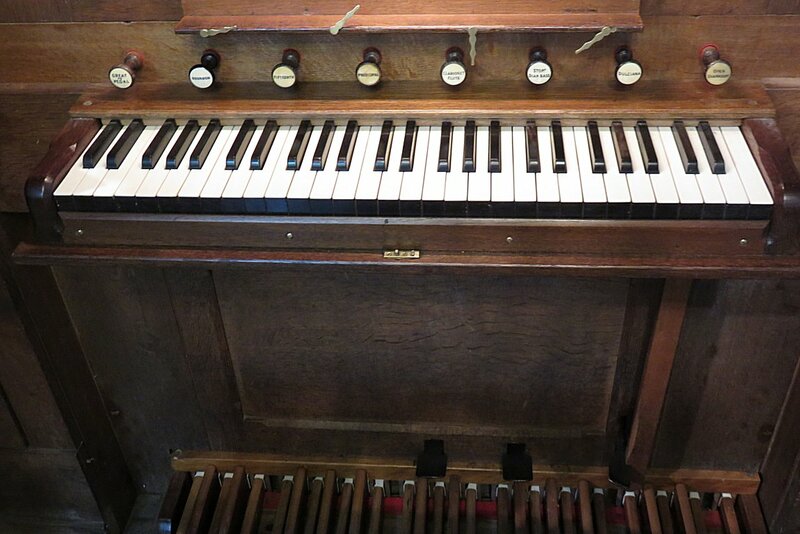 The barrel mechanism was subsequently removed and the original pedal board (20 notes C to g, but without any pipes) was replaced in 1896 by a 30-note pedalboard complete with a full set of Bourdon pipes. The 1960 restoration, by Hereford firm Hutchins & Co, added a zinc bottom octave to the Open Diapason which had originally been a tenor C rank. 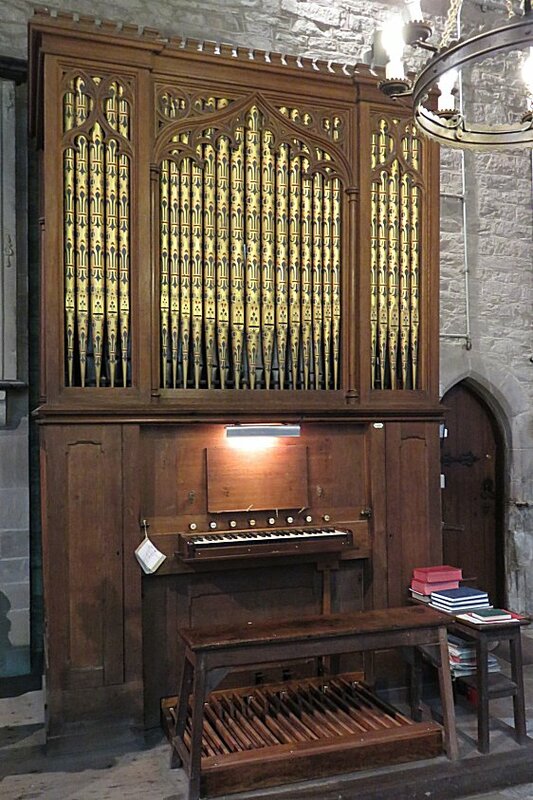 For such a relatively small and enclosed instrument, it makes quite an impact in the church. You can hear a rather larger Shropshire organ as January 2019's Music of the Month.